African institutions strengthen collaboration to stem illicit financial flows. July 17, 2018, Addis Ababa, Ethiopia; As part of the revamped strategy to stem illicit financial flows (IFFs) from Africa, the IFF Working Group (IWG) met at the African Union Headquarters, to discuss the practical implementation of the recommendations of the AU/ECA High Level Panel Report on Illicit Financial Flows from Africa, also known as the ‘Mbeki Report’. The meeting deliberated on effective steps to fulfil the Special Declaration adopted by the AU Assembly in 2015, on IFFs from Africa. Specifically, these steps include strengthening the institutional and regulatory capacity of African countries to combat illicit outflows, increasing advocacy for national and continental policy changes and establishing a multifaceted but united front to address the complex nature of illicit financial flows from the continent. Operating as the technical arm of the Consortium to Stem Illicit Financial Flows (IFFs) from Africa, the meeting sought to initiate Phase 2 of the Consortium’s work, which entails direct implementation of the High Level Panel recommendations and re-engagement of member states. Phase 2 of the Consortium’s work is part of the holistic plan of action developed to address the illicit outflows from the continent. 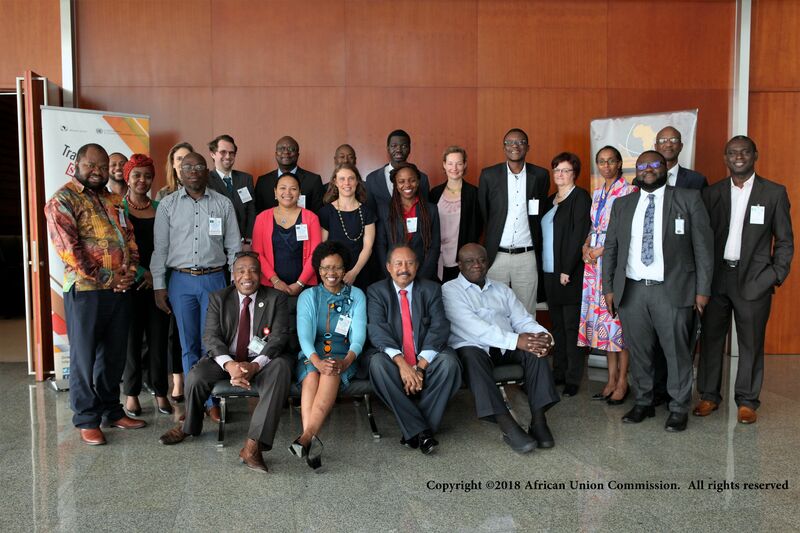 The seventeen African institutions and several non-African partners in the working group unanimously agreed to maintain and upscale ongoing advocacy efforts at regional and global level. They also committed to foster additional research to deepen the understanding of the phenomenon and strengthen national level interventions. Speaking at the opening of the two-day meeting, Dr. Abdalla Hamdok, the Deputy Executive Secretary of the United Nations Economic Commission for Africa (UNECA) and co-chair of the Consortium, lauded the renewed efforts by the African leaders and stakeholders as well as the progress made in the implementation of the Panel recommendations. He noted the momentum aligns fully with the African Union theme of year 2018 on fighting corruption. “If you are going to fight corruption, the illicit financial flows stand out as a major component. Africa is losing about USD 100 billion per year and we need to look at this at a different perspective in terms of how the illicit outflows affect our development progress as a continent,” he stated. Similarly, Dr. Fareed Arthur, the Deputy Chief of Staff at the African Union Commission and co- chair of the IFF Working Group, stated the need for continued and regular engagement between the member states and stakeholders, to take stock and understand the evolving nature and dynamics of the illicit flows to better devise strategic and effective interventions to stem the revenue leakages. “We face the potential risks of lack of buy-in from the political front and partners within and outside the continent, therefore we need to increase the advocacy, awareness and mobilize support towards anti-IFF plan. Assessing the scale of the current and long-term implications of illicit financial flows on the development of the continent, it cannot continue to be business as usual,” Dr. Fareed concluded. This fourth meeting is part of the biannual meetings of the IFF Working Group, organized by the African Union, United Nations Economic Commission for Africa and the Coalition for Dialogue, in a series of efforts by H.E. Mbeki, Chair of the AU/ECA High Level Panel (HLP) on IFFs from Africa and the African Union, to reduce IFFs from Africa. The meeting brought together among other institutions, the African Capacity Building Foundation, Tax Justice Network on Africa, Trust Africa, African Legal Support Facility, Open Society-Africa and the World Bank. Following the endorsement of the High Level Panel (HLP) Report on Illicit Financial Flows (IFFs) from Africa and the passing of the AU Special Declaration by the African Union Heads of States at the 24th African Union Summit in 2015, there was the obvious need to wholly implement its recommendations nationally, regionally and globally. Accordingly, a coalition of Stakeholders which became the Consortium of Stakeholders to Stem IFFs from Africa was established. Above all else, the Consortium of stakeholders works to foster coherent implementation of the recommendations of the High Level Panel and ultimately stem the growth of IFFs from Africa.